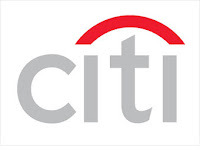 In a ironic turn of events super-bank Citigroup has decided to close down the hedge fund which current CEO Vikram Pandit founded and sold to Citigroup less than a year ago. As with other hedge funds clients would probably also like a portfolio management team and leadership of the fund to hold steady while continuing to outperform - neither of which has happened in this case. Old Lane has only produced mediocre returns since being purchased by Citigroup. 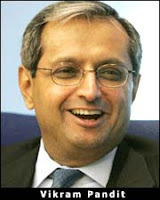 The Dealbook blog recently was wrote - "Abandoning the Old Lane business model is a painful embarrassment to Mr. Pandit and Citigroup’s board, which paid an astronomical sum for it last year. Investors called it “Old Lame” as it hobbled along with mediocre returns." Regardless of why so much money was wasted on a failing hedge fund, the closing of Old Lane by Citigroup shows how important it is to keep executive members and portfolio management teams at hedge funds stable, and just how quickly (11 months) a business can be ran into the ground once in partial or complete control of one of the Wall Street giants such as Citigroup, Lehman, Goldman Sachs or Merrill. Read more articles like this within the Hedge Fund Performance Category of this hedge fund blog. Articles Related to "Citigroup Hedge Fund"